Ideas is touring the Netherlands: here he's at the Willem de Kooning academy in Rotterdam where he told his story to students of the advertising department. 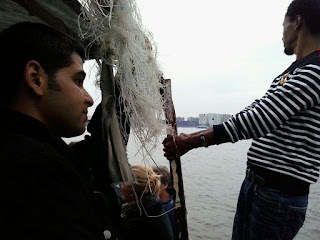 On the 6th of October he will present in De Zwijger in Amsterdam. Ideas appears to be a trendsetter again. From Germany there are accounts of numerous Syrian refugees eating wrong mushrooms and getting in trouble. 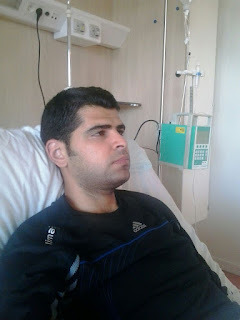 Here's a pic of Ideas in the hospital, 2 weeks ago, where he had to stay for 2 days after a delicious meal of mushrooms he had gathered himself in the Netherlands. He recovered quickly, by the way. Ideas makes a trip with shipping company Lampedusa, a project by Teun Castelein. The Prince Omar was abandoned at Lampedusa after it took more than 100 refugees from Libya and donated to Teun by the Italian government. Now it is run by a crew of refugees -and skipper Bob-, making trips on the Amsterdam canals. 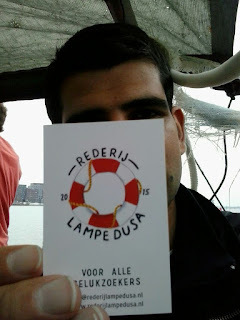 Ideas likes shipping company Lampedusa! 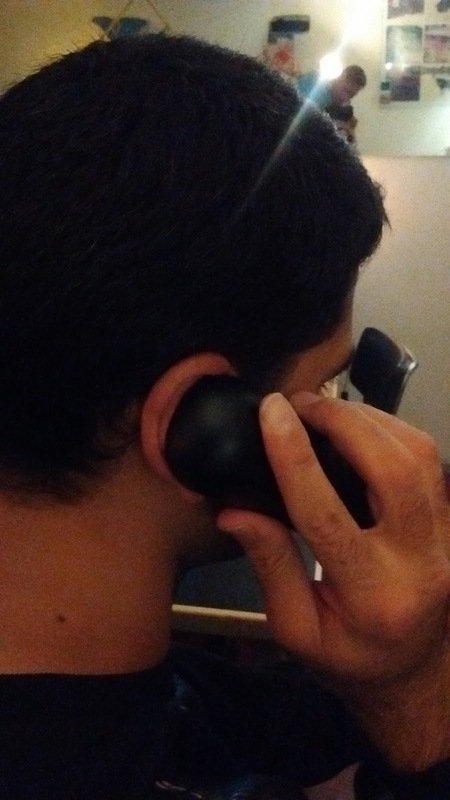 Ideas phones his mother and father in Syria. The situation is getting worse. The government is increasing the pressure on villages to surrender their young men to join the army. To avoid fighting for the regime, many young men are leaving. They will have to be fast, there's not much time left before winter starts, the bouttrip to Greece will get more dangerous and countries like Hungary and Macedonia close their borders. This means there will be even more refugees from Syria coming over the Balkans in the coming weeks.